Here at Screeduct® we offer aluminium ducting ranging in thickness from 3mm to 12mm. 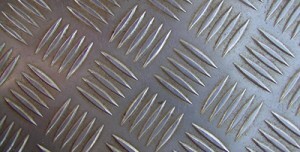 This metal is highly resistant to corrosion, making it ideal for a variety of applications. Suitable applications include pipe and electrical trunking. For further information on these, please visit our application page. This lightweight, yet strong trunking is ideal in many environments. The removable flush fitting modular covers we provide are ideal when service access to the aluminium ducting is required. Our patented flange fittings give this already strong metal, added robustness and reduced movement. We use this method as it removes the need for mechanical fixings within the screed. The strength of aluminium makes it the perfect floor trunking solution, particularly in busy environments. It fits flush with the flooring, causing minimal disruption to the appearance or flatness. Its strength makes it highly resistance to frequent heavy footfall. This means that you don’t need to worry about the access covers being stepped on. This is perfect for public areas! We’ve worked on a range of projects across a variety of industries. This includes healthcare, education and transport facilities, amongst many others. Our commitment and experience to quality means that you know you are always getting a superior product. We complete every job in an expert manner, from initial enquiry to delivery and installation. With a flexible approach to trunking, orders are completely bespoke, regardless of size. To find more information on our aluminium ducting please get in touch. We would be more than happy to talk through your needs with your and recommend the best possible solution. We also manufacture trunking from a wide range of other materials. For more information on these, please return to our heavy duty trunking page. For information about projects where our aluminium ducting has been specified, please visit the project page.